I've been eager to get my hands on the Sims 4 since seeing the trailer revealed at E3 this year. Last week, I got a chance to play for a little more than five hours. 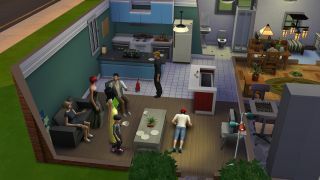 I didn't find the new emotion system to be as exciting as Maxis is selling it to be, but there are a number of smaller, meaningful improvements to playability that I was really happy with. Watch the video for my full thoughts on the latest Sims installment.